Myelopathy means a compromised state of the spinal cord. And, there are multiple reasons for that situation. The more uncommon reasons are secondary to vascular compromise. Usually there is compromise of the blood supply to the spinal cord. Typically, it is the anterior spinal artery that is effected, although, posterior artery (there are two of them) sources are possible. In the most acute devastating situation, there is total infarct of the arteries causing ischemia and necrosis of the spinal cord. Fortunately, this is a rare occurence, but if there is and acute paralysis event without trauma, there is always the concern of a vascular orgin of the paralysis. Entities such as AVM (Arteri0-Vascular Malformations) about the spinal cord can lead to thrombosis of the arteries, or rupture of the feeding arteries to the spine. In other instances, thrombosis of the major arteries to the brain (carotid, vertebral arteries) can cause loss of vascularity to the spinal cord vessels. As stated above, this can be a rare but devastating consequence of vascular disease, and testing to identify a vascular cause of paralysis and myelopathy will include Brain MRI’s, MRA’s, and standard brain angiography. Other rare forms of myelopathy is secondary to certain antibiotic use in cases of meningitis, or radiation induced myelopathy secondary to treatments for cancer. In these situations, the myelopathy is a side effect from treatments rendered to treat life threatening diagnoses such as spine and brain infections, or cancer. In these situations, the treatments, while potentially beneficial, has side effects that can also have a devastating impact on the patient. The most common reason for myelopathy is secondary to pressure on the spinal cord. The pressure can happen acutely by mechanisms such as a fracture, or instability, or by a large disc herniation compressing the cord. Or it can also occur by infections compressing the cord, or tumors growing pressure on the cord. In a more gradual fashion, such as spinal stenosis, or ossification of the posterior longitudinal ligament, the spinal cord will be gradually compressed, until one day it becomes symptomatic. The symptoms can be as dramatic as immediate weakness, inability to control muscles and the bladder, to a gradual weakening, and clumsiness. In the acute situation, it can strike all ages. 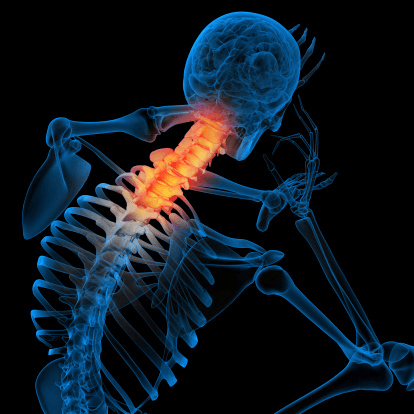 Traumatic fracture, instability or disk herniation will present with symptoms in a short time from the time of the onset of the spinal cord injury. 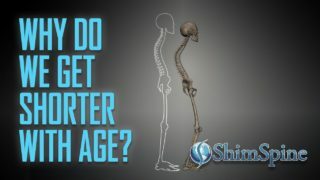 In the more gradual situation, typically it is found in the older population, and usually with concomittant degenerative findings such as arthritis and stiffness. For the more rare cancer or infectious source of myelopathy, there are also so called constitutional signs such as fevers, sweats, and weight loss. As far as treatments are concerned, some surgeons are more aggressive in the gradual situation, recommending surgery, others will wait to see if the weakness progresses. 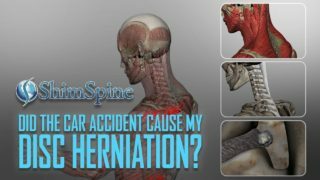 In the acute situation, most surgeons agree that the spine will need to be stabilized and the pressure on the spinal cord relieved. The surgical options depends on the type of compression, and the presence of a fracture, instability or a kyphotic deformity. If you think you have any myelopathy signs, please discuss your complaints to a physician immediately. Usually, the source of myelopathy is located in the neck, or thoracic spine.